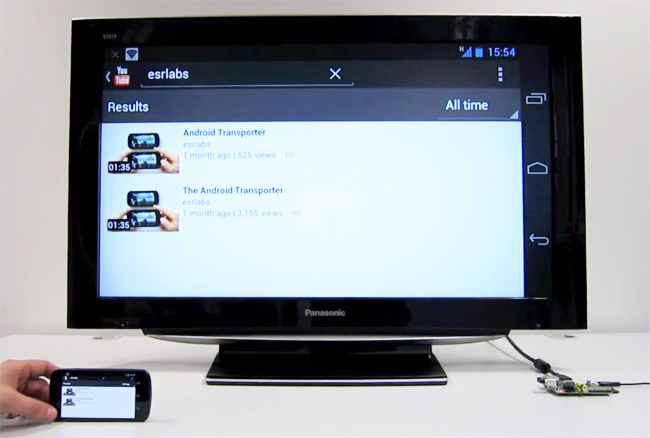 A new use for the Raspberry Pi $35 mini PC has been published over on the Raspberry Pi website, showing how you can use the mini computer and Android Transporter software to transform any TV into a display for your Android device. If you haven’t come across Android Transporter before its a piece of software which has been created to enable you to wirelessly stream your Android devices display to an external display. Watch the video after the jump to see it in action with the Raspberry Pi. ESR labs is now working on a dual screen system using the Raspberry Pi. For more information jump over to the ESR Labs website for details.